Woman’s March takes to the streets around the world. Thousands of women are marching in cities around world to call for the protection of civil liberties and diverse cultures which organisers say have been threatened by the recent US presidential election. Washington leads global Trump rallies where thousands of protesters have taken part in a Women’s March. In London as part of an international campaign over a 100,000 men and woman showed support for this campaign. This is what happened on the first full day of Donald Trump’s presidency. 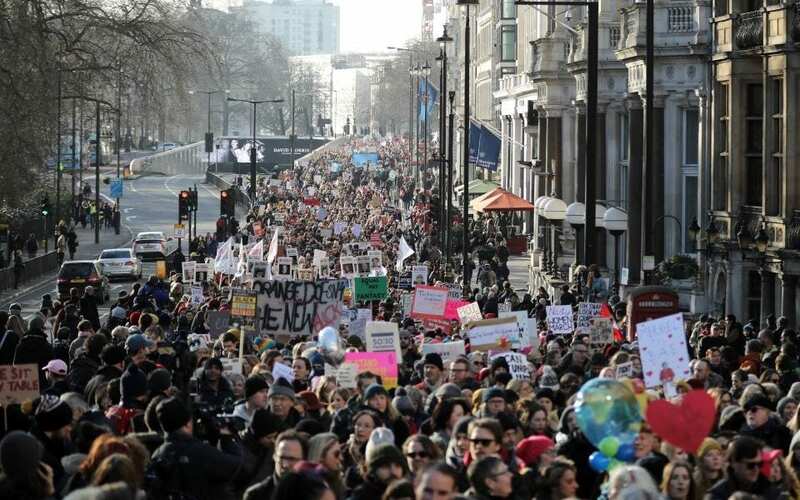 So far, sister rallies have taken place in Japan, Australia while demonstrations are also happening in European cities like London, Edinburgh, Paris, Barcelona, Dublin and Milan. Aung San Suu Kyi – Was Never a Humanitarian- A modern day Hitler! Are we intolerant or simply bonkers? Steven Gerrard is to return to the Premier League club as a youth coach.